Every year, hundreds of thousands of Americans spend around $2,000 on veneers to make their teeth look whiter and to hide imperfections. The custom-made shells are extremely thin and are bonded to the front of the teeth in order to change their appearance. However, the procedure comes with risks, and there are much more affordable alternatives. In America, the cost of being ripped off is high, with the National Health Care Anti-Fraud Association estimating that Americans spend some $68 billion annually on health care fraud, including things like unnecessary dental treatment. When it comes to the “perfect smile,” there have been a number of scams and cases recently involving veneers. 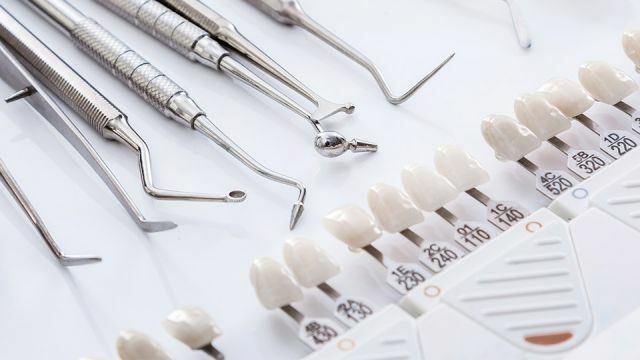 A Canajoharie dentist was charged with more than 20 counts of fraud, including placing veneer shells over damaged teeth, when it wasn’t medically warranted. In Los Angeles, a celebrity dentist had to surrender her license after a patient experienced “intolerable pain” following ill-fitting porcelain veneers. With some of the teeth, the dentist removed important dental work in order to attach the veneers. But the biggest scam involves recommending the veneers when they can be risky, unnecessary and costly. Getting tooth veneers is irreversible: the dentist has to drill down your teeth to install them, and the shape and color the dentist uses are there to stay. One veneer customer felt her “new” teeth were “too short, too square, too thick and several shades darker than my own teeth,” but at that point there was nothing she could do. The reduction in sound tooth tissue also causes a structural weakening of the teeth. Additionally, veneers don’t tend to last decades — they usually crack, break, fall off or have to be replaced. “And every time you replace a veneer, you need to drill deeper,” a UK dentist who works with a specialist legal firm stated. The drilling can also cause side effects like inflammation and swelling, with one in ten veneered teeth needing a root canal to remove dead pulp, nerves and infections. Finally, if the veneers aren’t fitted well or they get cracked, infections and a fair amount of pain will likely follow. Let’s face it: we all have imperfect teeth that lose their total-whiteness as we get older, and to be honest, natural teeth are often more attractive than those fake pure-white smiles. Except, perhaps, in extreme situations, the most affordable alternative to veneers is self-acceptance, and some basic teeth hygiene, like oil pulling for 15 minutes with a heaping tablespoon of coconut oil every morning. Ask a friend or coworker to refer a good dentist. Be wary of practices that offer special deals like free tooth whitening. Avoid a dentist who prescribes a lot of treatment, especially one who pressures you to get the procedure done straight away, but don’t provide details regarding the medical need. Question up-sells and especially expensive products like “prescription” toothpaste. Try a dental school clinic for more affordable and reliable surgery: there is a lot more oversight at these clinics than at most private clinics. Hey Buddy!, I found this information for you: "Dentists Get Hundreds Of Thousands Of Americans To Have This Unnecessary Procedure". Here is the website link: https://www.thealternativedaily.com/dentists-get-hundreds-of-thousands-of-americans-to-have-this-unnecessary-procedure/. Thank you.